The members of Timberline’s Professional Ski Patrol are dedicated to your safe enjoyment of the Timberline Lodge Ski Area. We are your best source of information about current weather, snow conditions, run recommendations, closures and more. Find us and ask…that’s one of the things we’re here for! Timberline will no longer offer Climber Tickets, or “one ride” tickets, to the top of Palmer. The main reason for this policy change is Timberline does not promote activities that involve leaving the ski area boundary. Climbers must register their group and obtain a wilderness permit from the Climber Registration outside of the Wy’East Day Lodge, then proceed to the Climber’s Trailhead adjacent to the Salmon River Parking Lot and avoid resort operations. Skiing and snowboarding can be enjoyed in many ways. You may see people using alpine, snowboard, telemark, cross country and other specialized ski equipment, such as that used by disabled or other skiers. Regardless of how you decide to enjoy the slopes, always show courtesy to others and be aware that there are elements of risk in skiing that common sense and personal awareness can help reduce. Freestyle Terrain Parks come with their own unique risks. For more information please follow the link. 1. YOU ARE RESPONSIBLE. Timberline is not responsible for your actions. All users must recognize that alpine sports are inherently risky and accept all risks and responsibilities. 2. RESPECT THE SKI AREA. We work hard to provide our visitors with a high quality product and ask that you respect our staff, facilities, operations, and environment. 3. STAY TO ONE SIDE OF THE TRAIL. Stay to one side of all groomed trails and be aware that you may encounter skier/rider traffic, on-hill machinery and other equipment at any time. 4. USE CAUTION NEAR ON-HILL MACHINERY. Significant hazards may exist near on-hill machinery. Do not travel underneath, behind, or in close proximity to any machine in operation. 5. STAY ON DESIGNATED TRAILS/ROUTES. 6. CLIMBERS MUST USE THE CLIMBERS TRAIL. USE CAUTION when navigating the Climbers Trail. Weather conditions can change rapidly and on-hill machinery, equipment, and cables may be encountered at any time. (NOTE: The Climbers Trail is generally established on April 1st and maintained until the eastern Ski Area Boundary melts out. During times when the Climbers Trail is not marked/maintained, ALL CLIMBERS MUST FOLLOW TIMBERLINE’S EASTERN SKI AREA BOUNDARY (ON FOOT IF NECESSARY). 7. ABIDE BY ALL USFS RULES AND REGULATIONS. Blue Bags are required. Pack out your solid waste and dispose of it properly. 8. DO NOT TRAVEL BY FOOT AND/OR GLISSADE ON GROOMED TRAILS. Timberline’s groomed trails are for skiers/riders only. DO NOT glissade or walk on groomed trails. 9. DO NOT CAMP WITHIN THE SKI AREA BOUNDARY. Camping is only permitted outside the Ski Area Boundary. Observe the code listed below and share with other skiers the responsibility for a great skiing experience. There is an inherent risk in skiing and snowboarding. Timberline views skiing and snowboarding in a controlled and responsible manner as the primary safety consideration for all riders. Wearing a helmet is a personal choice, but it’s one we STRONGLY ADVISE, especially for children. Keep in mind that it is important that helmets be properly fitted and do not inhibit vision or hearing. For more information on helmet use for children, please follow the link. For safety, Timberline Lodge Ski Area recommends staying on designated, groomed trails. Those who choose to venture into more challenging terrain should be aware of their greater responsibility for protecting their own safety and the risks they pose to others. The Pacific Northwest’s deep maritime snowpack can create an unexpected danger of being trapped in the unseen void next to large trees. When skiing or riding off groomed trails in these conditions, always have a partner and keep each other in sight. The NSAA has also put together a great article on this topic –please follow the link. Trail difficulty designations are relative only to Timberline Lodge Ski Area and may not correspond to what you find at other skis areas. When new to an area, we encourage you start out on terrain a notch below your ability level at other resorts. Closure and Boundary signs are placed for specific purposes and impose specific responsibilities for skiers and riders. Timberline does not recommend out-of-bounds skiing or snowboarding. 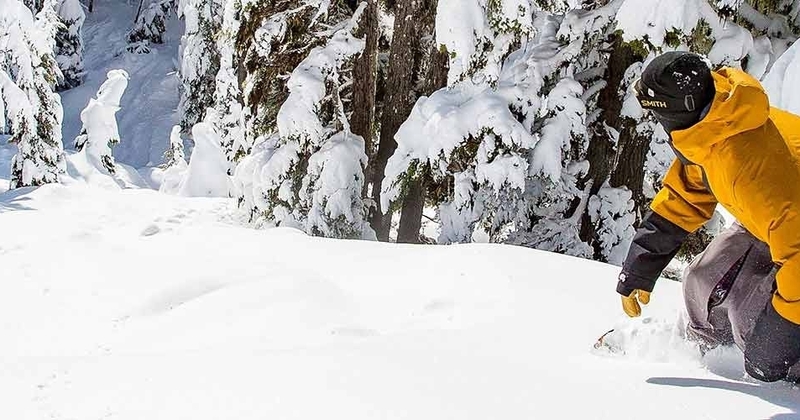 If you choose to leave the ski area boundary, you assume the risks of backcountry travel. You must be prepared with the knowledge and proper equipment to navigate unmarked hazards, extreme avalanche danger, blow holes, rocks, cliffs, crevasses, tree wells, low visibility, limited access, limited return and all other hazards. Be aware that all canyons lead away from the ski area, return may not be possible. Once you are outside the ski area boundary you are responsible for your own safety, transportation and evacuation. Help, if possible may be hours or days away. You or your heirs will be responsible for the cost of your rescue. Ski and Snowboard tracks may lead beyond Timberline’s boundary to where there is NO avalanche control, NO trail signs, CONFUSING route directions and DANGEROUS terrain traps. Rescue, if possible, will be slow and may be costly to you. Remember that hiking, skiing or snowshoeing into closed areas is prohibited. Timberline does not allow snow kiteboarding or snow kite skiing anywhere inside the ski area boundary. Passengers are not permitted to board any Timberline chairlift with a kite and/or related equipment. Accessing the USFS Wilderness Area with snow kite equipment through the Timberline permit area is not permitted. The Mt. Hood Ski Patrol is composed of nearly 300 volunteers, all dedicated to providing quality rescue and emergency care to participants in seasonal activities on Mt. Hood. The Mt. Hood Ski Patrol works alongside Timberline’s full-time Professional Ski Patrol to service all of our guests on weekends and holidays. For more information on the Mt. Hood Ski Patrol, and to donate vital funds that keep the Patrol running, please to visit their site. Violation of any of these duties entitles the ski area operator to withdraw the violator’s privilege of skiing. The following are excerpts from the statute. References to “Skiers” & “Skiing” include skiing, snowboarding and other winter activities. • Skiers accept and assume the inherent risks of skiing (in so far as they are reasonably obvious, expected or necessary). • Skiers who ski in any area not designated for skiing within the permit area assume the inherent risks thereof. • Skiers shall be the sole judges of the limits of their skills and their ability to meet and overcome the inherent risks of skiing and shall maintain reasonable control of speed and course. • Skiers shall abide by the directions and instructions of the ski area operator. • Skiers shall familiarize themselves with posted information on location and degree of difficulty of trails and slopes to the extent reasonably possible before skiing any slope or trail. • Skiers shall not cross the uphill track of any surface lift except at points clearly designated by the ski area operator. • Skiers shall not overtake any other skier except in such a manner as to avoid contact and shall grant the right of way to the overtaken skier. • Skiers shall yield to other skiers when entering a trail or starting downhill. • Skiers must wear retention straps of other devices to prevent runaway skis. • Skier shall not board rope tows, wire rope tows, j-bars, t-bars, ski lifts or other similar devices unless they have sufficient ability to use the devices, and skiers shall follow any written of verbal instructions that are given regarding the devices. • A skier who is injured should, if reasonably possible, give notice of the injury to the ski area operator before leaving the ski area. 1. With the exception of summer trail hiking, human-powered use of the ski area (uphill or downhill) for the purpose of recreation is not allowed inside the Ski Area Boundary without a valid lift ticket. 2. Uphill climbers and Nordic skiers must avoid groomed runs unless designated for their use. Snowshoe use is only permitted on the designated snowshoe trail. 3. Due to potential hazards and high risk, snow sliding with sleds, toboggans, saucers, tubes, and the like, is not permitted within the Ski Area Boundary. 4. Bicyclists are not permitted in the Timberline permit area unless they are ticketed Timberline Bike Park users or are accessing the Timberline to Town Trail. All facilities at Timberline Lodge and Ski and Area, including parking lots, are 100% located on the Mt. Hood National Forest. The use, transport and possession of marijuana is illegal on national forest and other federal lands. Alcohol consumption is not permitted while actively skiing or snowboarding within the Timberline permit area including while riding lifts or in lift lines. Use of a lift or any ski trail when under the influence of drugs or alcohol is not permitted. Out of safety concerns for guests, employees, and resort property, as well as concerns for individual privacy, Timberline Lodge prohibits the operation or use of unmanned aerial systems, or drones, by the general public – including recreational users and hobbyists. This prohibition includes drones used for filming or videotaping, as well as any drone use by media or journalists operating above or within Timberline boundaries. This prohibition on drone operations or use extends to any drones launched or operated from Resort property, as well as drones launched from private property outside of the Resort boundaries. Any violation of this policy may involve suspension of your skiing or snowboarding privileges, or the revocation of your season pass, as well as confiscation of any drone equipment, and may subject violators to any damages, including, but not limited to, damages for violations of privacy and/or physical or personal injuries or property damage, as well as regulatory fines and legal fees.